Microsoft has been making waves lately. The company released its newest operating system, Windows 10, for FREE in hundreds of countries around the world. Additionally, Windows 10 features new options such as Cortana, Microsoft’s voice activated personal assistant and it issued in the return of the iconic Windows Start Menu (which went missing with Windows 8). Another new feature in Windows 10 is something called Wi-Fi Sense, which helps users to connect easily to Wi-Fi networks in their area. Taking crowd-sourcing to a new level, Microsoft released this feature as a way to help users connect to the internet no matter where they are. 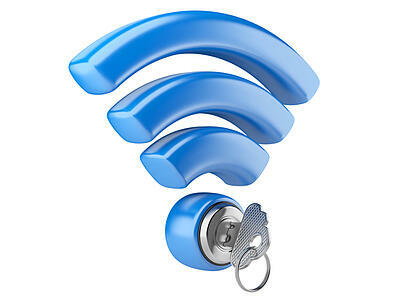 However, there are some major concerns about Wi-Fi Sense that have many questioning the feature’s safety and effectiveness. Microsoft has a database of public open Wi-Fi networks that it continues to build upon by crowd-sourcing information about open, non-security protected Wi-Fi networks from its users. Whenever a person using Windows 10 is within range of an open Wi-Fi network, the system connects automatically. Beyond finding and automatically connecting to open Wi-Fi networks to create a seamless internet experience for all Windows 10 users on the go, the feature also shares network credentials (name and password) for either home Wi-Fi routers or other locations with friends and contacts – to expand each user’s network of Wi-Fi routers that they have access to. It finds friends and contacts from Outlook.com, Skype, and Facebook. Warning bells are probably going off right now, with the thought that Microsoft is sharing network credentials among friends and contacts. In reality, Microsoft “shares” the credentials by allowing friends and contacts to connect when in range of your home or business Wi-Fi network, without actually providing the password. Windows 10 encrypts all network information and connects users without showing the secret credentials. However, even with encryption, it does create a potential security issue for many. The problem is Wi-Fi Sense is turned on by default. This means that any time you log onto a new network, the information is then shared with Facebook friends and contacts from Outlook and Skype. As the information is encrypted, the “friends” are only able to access the networks by being in physical proximity to the router, and even then Microsoft makes the connection without showing the passwords. Even with the encryption, this feature creates access opportunities for multiple people to hop onto password protected Wi-Fi networks. Any point of contact by an outside individual can create a possible security issue, by granting access to the wrong individuals. Microsoft if simply following in step with other major software providers (think a major search engine and social platform) by enabling features by default that are in a sort of a privacy gray area. The easiest way to reduce the risk of unwillingly sharing Wi-Fi credentials with others, you can disable this feature under the Settings application on Windows 10. Under settings, click on Network and Internet and then select Wi-Fi Sense. Then turn off "Connect to suggested open hotspots" and "Connect to networks shared by my contacts." This doesn’t mean you can’t manually connect to open and closed Wi-Fi networks – you simply follow the steps like you would on previous versions on Windows by clicking on the Wi-Fi icon in the bottom right hand corner of the screen. Instead, it stops Windows from automatically connecting you to open hotspots or sharing network credentials without your permission.